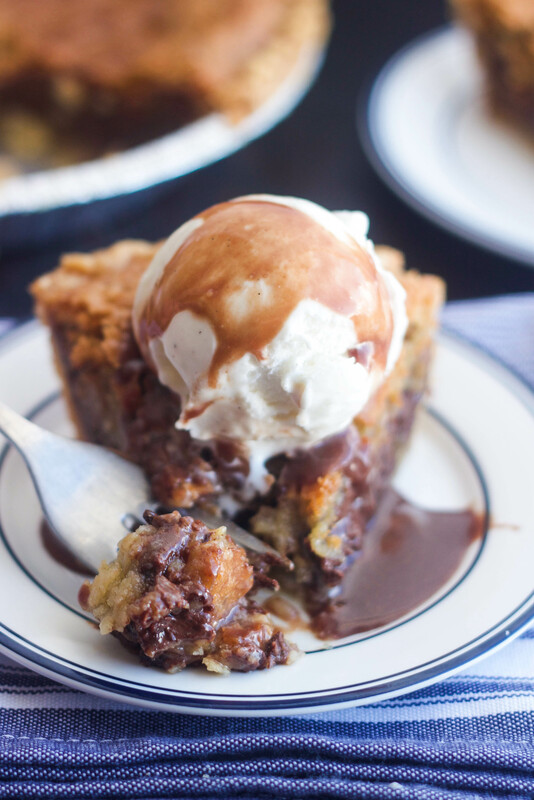 This Chocolate Chip Pie is basically a chocolate chip cookie in gooey pie form. It’s rich, decadent and just ridiculously delicious. Did you know that today is National Pie Day? Well it is, so naturally I had to share a pie recipe with you today. 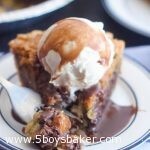 Many of you have probably had this Chocolate Chip Pie (aka Nestle Toll House Pie) at some point in your life, right? 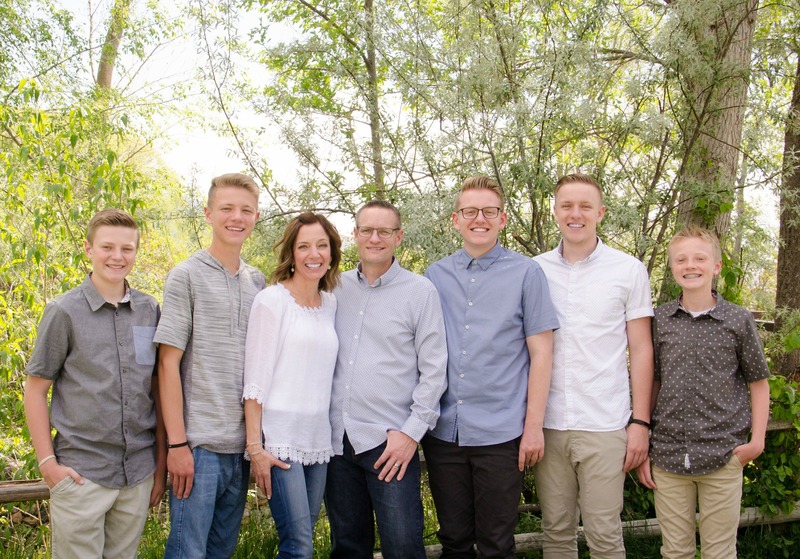 But if you haven’t, then you’ve been missing out and you need to make it ASAP! If a pie could be considered out of control, then this pie is definitely that. 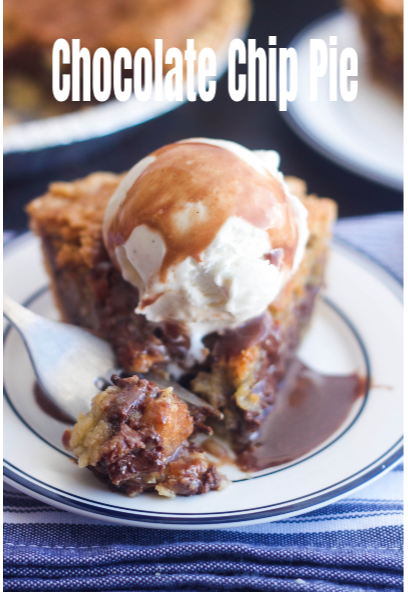 It’s just flat out ridiculous and might become your favorite pie ever, especially if you’re a chocolate chip cookie lover like I am. Just look at all that chocolate gooey-ness! Are you drooling yet? If you’re like me and don’t love nuts in things, you can leave the nuts out. See my recipe notes about that. 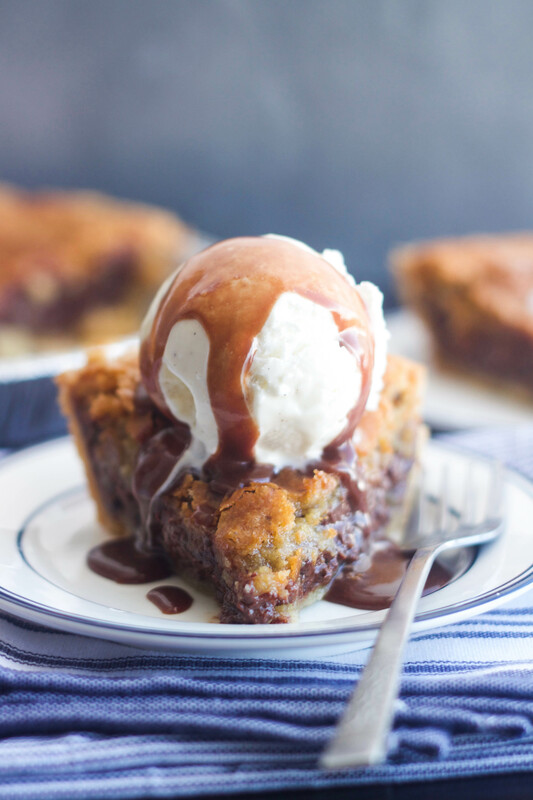 This pie on its own is completely spectacular, but why not go ahead and make it even more decadent and sinful by putting a scoop of vanilla ice cream on top and a drizzle of chocolate sauce. . . you’ll think you’ve died and gone to heaven. It’s gooey, chocolate perfection and you’d be crazy not to try it. BTW, all these “national” whatever days kind of crack me up. Seriously, who comes up with them? Did you know there is actually a list of National Food Holidays? You should check it out, it’s pretty hilarious. Oh and in case you didn’t know, tomorrow is National Peanut Butter day. I guess I’d better get back in my kitchen because we all know how I feel about ♡peanut butter♡! Beat eggs in large mixer bowl on high speed until foamy. Beat in flour, granulated sugar, brown sugar and vanilla. Add butter and mix well. Stir in chocolate chips and nuts (if using). Spoon into pie shell and spread evenly. Bake for 55-60 minutes or until knife inserted half way between outside edge and center comes out clean. Because I don't love nuts in things 90% of the time, I leave the nuts out of this pie. I add an extra 1/4 cup of flour to make up for some of the volume. I like to turn my oven off after 55 minutes and then open the oven door and let the pie sit in my oven for about 10 minutes. This seems to help it not sink in the middle. Anytime I've taken it right out of the oven, it usually sinks a little in the middle, but by letting it sit in the oven and slowly begin to cool down, it helps it not sink. You might be tempted to use milk chocolate chips, but I highly recommend using semi-sweet. 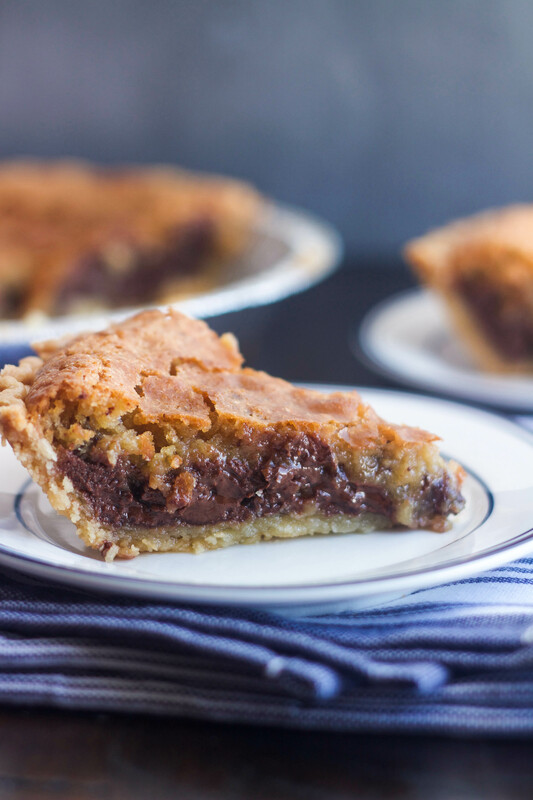 This is a fairly rich and sweet pie, so using milk chocolate chips might just make it too sweet (can you believe I even just said that?! ).